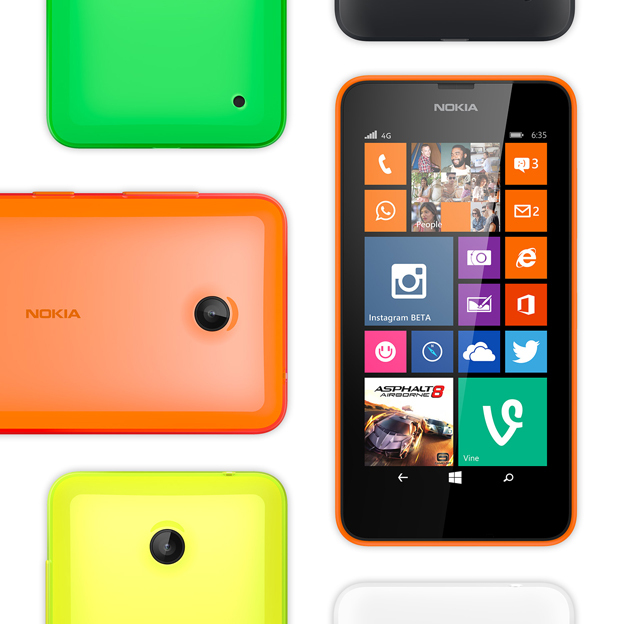 The Lumia 630 and 635 offer Windows Phone 8.1 and even 4G for less than US$200. Nokia may not be the dominant force in the cellular market that it once was, but the Finnish phone maker is still quite popular for its less expensive devices, particularly in developing countries. 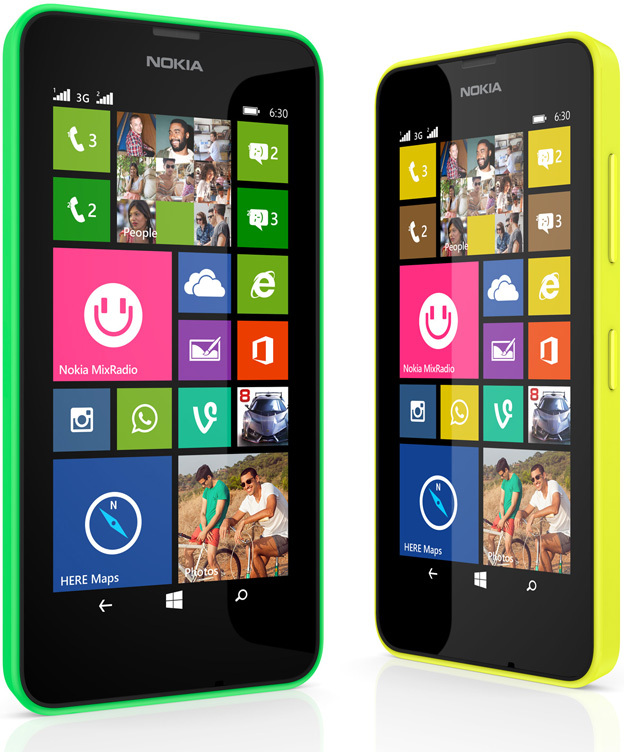 The new Lumia 630 and 635 are aimed at those same cost conscious customers and offer them even more for their money. 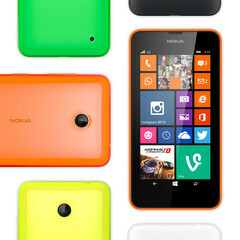 The Lumia 630 is the cheaper of the two handsets. It features a 4.5-inch 854 x 480 IPS display with ClearBlack to improve visibility in bright conditions and Gorilla Glass 3, a 1.2 GHz quad-core Qualcomm Snapdragon 400 processor, 512 MB of RAM, 8 GB of internal storage, a 5 MP back-facing camera, a microSD slot (up to 128 GB cards), and a removable 1830 mAh battery which should offer up to 7 hours of video playback. The Lumia 635 has identical specs but adds 4G to the mix. The two phones will be the first to launch with Windows Phone 8.1, and offer an impressive list of software features for devices in this price range. The rollout for the 630 is expected to start in May in Asia and Europe, while the 635 will launch globally in July. Prices start at US$159 for the 630, US$169 for a dual-SIM variant, and US$189 for the 635.